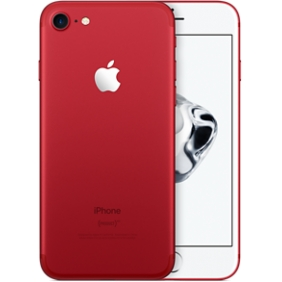 2017 Labor's Day is Coming soon in China，we are holding Sale promotion for every items now, There is a discount for More things half price, Shop from : www.fondsale.com Brand Apple MPN MN962VC/A Network Red Family Line Apple iPhone Model 7 Type Smartphone Key Features Storage Capacity 128GB Color Red Network Generation 2G, 3G, 4G Network Technology CDMA, GSM / EDGE / UMTS / HSPA / DC-HSDPA / FDD-LTE / TD-LTE, TD-SCDMA Style Bar Camera Resolution 12.0MP Connectivity Bluetooth, NFC, USB, WiFi Memory Supported Flash Memory Cards Built-In Memory Battery Battery Type Lithium Ion Battery Talk Time Up to 840 min Battery Standby Time Up to 240 hr Display Display Technology Retina HD Screen Size 4.7" Display Resolution 1334x750 Other Features Touch Screen Yes Bluetooth Yes Digital Camera Yes GPS Yes Email Access Yes Internet Browser Yes Speakerphone Yes Dimensions Height 5.44 in. Depth 0.28 in. Width 2.64 in.